The Eurocom Oktoberfest Trade in Program allows customer to trade in their used Eurocom notebook or laptop and receive 25% off their purchase of a new, fully upgradeable, custom built Notebook, Gaming Laptop, Mobile Workstation or Mobile Server. “We cherish the opportunity to give back to our customers with huge, 25% discounts on our award winning line of fully upgradeable, custom built notebooks, laptops, Mobile workstations and Mobile Servers” Mark Bialic, Eurocom President. The program allows customers to maximize their IT budget and acquire the state-of-art, fully upgradeable computer technology in the most cost effective fashion. With the Eurocom Oktoberfest Trade In Program, customers can save 25% off the purchase of new Eurocom technology when they trade in their Eurocom notebook. “Oktoberfest 2013 Trade-in is the perfect opportunity for our customers to upgrade their existing hardware to top of the line, fully upgradeable, custom built Eurocom laptops and notebooks ” Mark Bialic. Oktoberfest Trade in Program runs from October 18th to 31st. •	The Oktoberfest Trade in Program is the ideal time for customers looking to upgrade their notebooks performance, whether it be for better performance improved battery life or a new design. 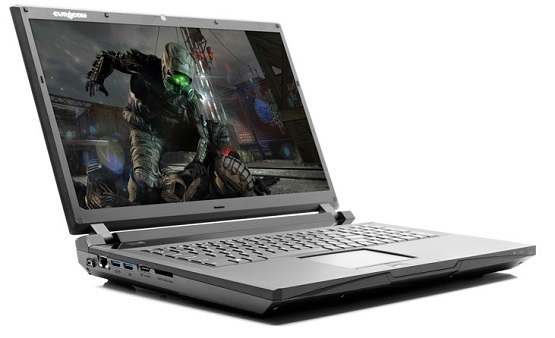 •	New Eurocom notebooks and laptops are the product of over 20 years of performance innovation, culminating in a complete line of high performance, highly capable machines that are all custom built based on customers exact requirements while also being fully upgradeable. •	Users get a warranty on their new hardware to give them peace of mind, knowing there is a highly trained Eurocom technician waiting to help. On-site or return to depot service is available as well as telephone support. •	Our new systems are more energy efficient and have better battery life compared to older computers and notebooks. •	Design a brand new, custom built notebook to perfectly suit your performance needs and to ensure nothing is paid for that isn’t needed. •	Have the peace of mind, knowing your used computer will be properly recycled and reused to eliminate the problem of computer parts wrongfully ending up in landfills. Electronic waste in landfills is a leading cause of mercury, arsenic and lead pollution. Intel Xeon powered, All in One Supercomputer with integrated display, keyboard, touch pad and uninterruptible power supply for on the go server deployment. EUROCOM Panther 5.0 Server-class Supercomputer laptop supports up to 4TB of storage with four SATA3 6Gb/s physical drives in RAID 0/1/5/10 and up to 32 GB of memory.